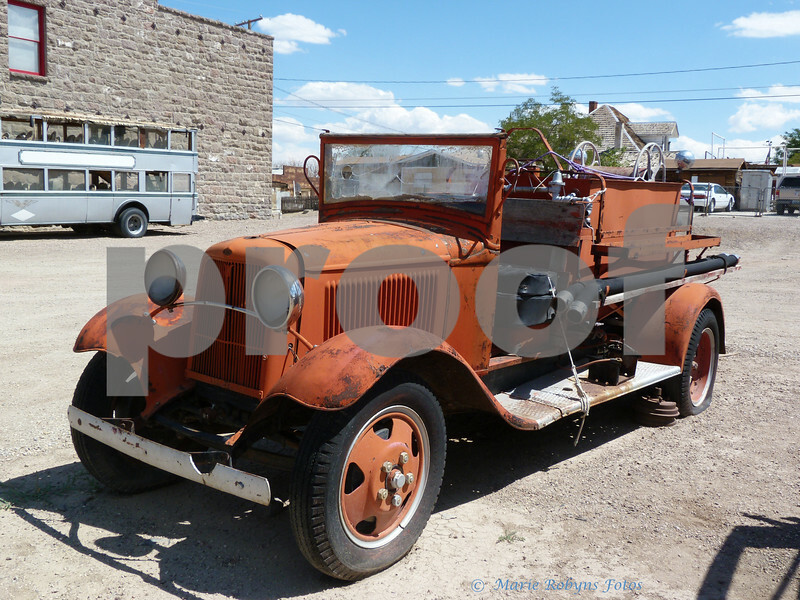 Antique fire truck. The antiques, the town, the buildings of that era are in the process of being cleaned up and situated to look like the owners are away for a short while. Photograph taken September 5, 2011 at 11:45 am.